Have you ever noticed that many regional dishes from warm-climate countries contain a lot of hot spices? Indian, Mexican, and Ethiopian cuisine incorporate a variety of chilies regardless of the warm weather. Surely, there must be a connection between spicy food and hot temperatures…right? You know the sensation: You bite into a chili and immediately feel a burning sensation all over your mouth. I’ve heard there are people out there who actually enjoy this sensation—I am not one of them! The burn is usually followed by teary eyes and sweating. Since we only have taste buds for detecting flavor but not spice, it is simply felt as pain. Capsaicin and other transmitters are responsible for activating mucosal pain receptors when spicy food is eaten, therefore making you feel pain. Spice is measured on the Scoville scale. In 1912, the Pharmacist Wilbur L. Scoville developed the test to differentiate between multiple levels of spiciness within one ingredient. How does our body react to spice? So many people seem to be obsessed with eating spicy food. You’ve probably heard of those contests where you win by eating the spiciest food. But why would they do that to themselves? In addition to making you feel happy, spicy food can also increase circulation and open our pores. Since warmer blood gets closer to the surface of the skin, we begin to sweat. The thin layer of sweat on the skin evaporates and has a cooling effect on the whole body. Alcohol causes the same reaction in our bodies. You warm up, sweat, cool down, and feel cold again. This reaction allows you to cope with hotter climates better. But don’t forget: The more you sweat, the more water you should drink! This rule does not only apply when doing sports. Sweating extracts water from the body, no matter the cause, which can lead to headaches and dizziness from dehydration. 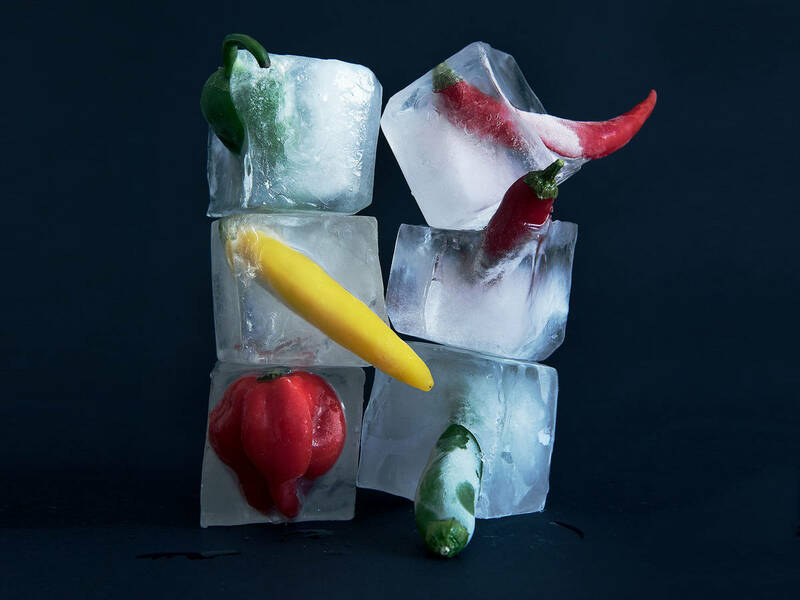 People living in warmer climates consume spicier food to endure the hotter temperatures better. In countries like Thailand and Mexico, people consume between 25 – 200 mg of Capsinoids daily, while the average central European only consumes about 1.5 mg daily. There is even a saying in Uganda that goes like this: “When it’s hot outside, make it hot inside, and it won’t be hot anymore!” But be cautious if you are now planning your picnic by the lake, because just like with most things, practice makes perfect. Consuming too much spicy food can irritate your stomach if it is not used to digesting it! And if the burning in your mouth ever becomes unbearable, have a glass of milk to sooth the pain! Capsaicin is oil-based and can there for only be dissolved by fat and not water. Do you like spicy food or do you try to avoid spice at all cost? Let us know in the comments!